As the new school year gets back into full swing, things will inevitably become incredibly busy for families all across the United States. One of the things that often becomes a bigger hassle than it really needs to be is keeping up with the laundry. While many families assign chores to respective members, very few bother to talk about who is in charge of which loads of laundry. This often leads to annoyed sighs, mismatched socks, and a day of dirty pants. In order to avoid these issues, it is important that your family has a good, solid laundry plan in place, as well as a good communication system. While your plan will need to be customized to fit your needs, you will likely find some useful laundry tips for getting your family’s laundry situation under control in the list below. While a baby can’t really do their own wash, there is absolutely no reason why a 7-year-old can’t pitch in to help with the laundry. One of the most effective ways to split up laundry duty is assigning each person in the family their own laundry as a chore. This way, if anyone has to go to school in long sleeves on an 80°F day, it won’t be because you didn’t do the laundry, but because they didn’t do their chores. Of course, you will have to wash the littlest people’s clothes, but handing off some of the work is better than doing it all yourself. Because having multiple people doing laundry can lead to washing machine chaos, it is a good idea to assign each person one or more days each week to complete their wash. This helps ensure everybody gets a chance to do what they need to do without anyone else butting into the middle of their system. If something unusual is going down in the laundry room, it is probably a good idea to let the rest of the family know. Unfortunately, ballet classes must be attended, school pick-ups must be done, and soccer practice is on the schedule, which means there is rarely a time when everyone is home together. In order to ensure that important laundry information is communicated, try using a dry-erase marker. This marker can be used to write quick notes to anyone who may come in later. The best part? The marker can be used directly on the washing machine and/or dryer. Just make sure everyone knows not to put clothes on the messages to avoid staining. If you choose to forgo the “every man for himself” idea mentioned above, you might find yourself wondering what your spouse wants left out of the dryer, or which dresses your teenage daughter needs hand-washed. This is where “special care” hampers step in. Start with two hampers—or baskets, if you prefer—and label one the “no-dry” hamper, and the other the “hand-wash” hamper. Let everyone in the family know that anything needing to skip the dryer should go into the “no-dry” hamper, while everything that needs to be washed by hand should be tossed in the “hand-wash” hamper. This will save many clothing items and help streamline your laundry system. Of course, if your washing machine isn’t doing its job well, none of these tips will matter in the slightest. 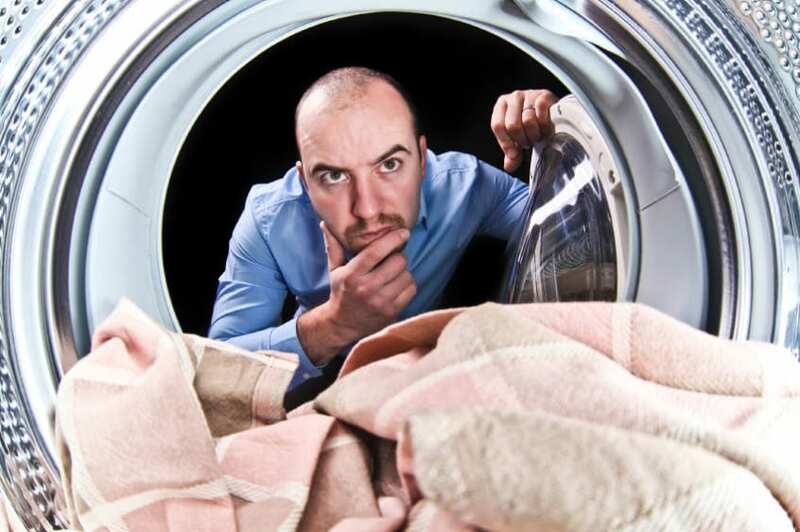 The next time you need your Whirlpool washer to have a check-up, be sure to contact us at Fred’s Appliance Repair. We would be happy to help get you up and running again in a reasonable amount of time, and for a reasonable price.